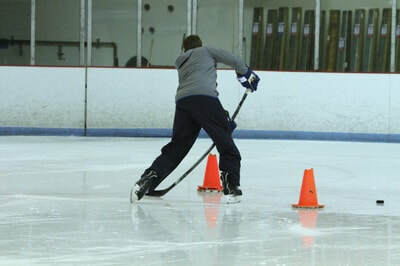 Backwards Skating is the most underdeveloped skating stride in Hockey. 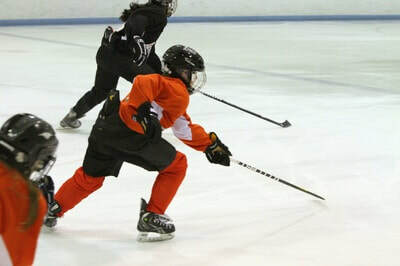 Whether your a Defenseman or a Forward, backwards Skating is a skill that must be taught and practiced. ​Separation and stride as well as balance will NOT be developed unless you understand the proper principles and realize the footwork needed to gain the confidence required to use this stride as an escape route or to close the gap on your opponent within Game situations. Vaughan Rody will teach you the skills needed to elevate your game to the next level in this On Ice STRICTLY BACKWARD SKATING Camp. If you are NOT as comfortable or confident Skating BACKWARDS as you are Forward, THIS CAMP IS FOR YOU.